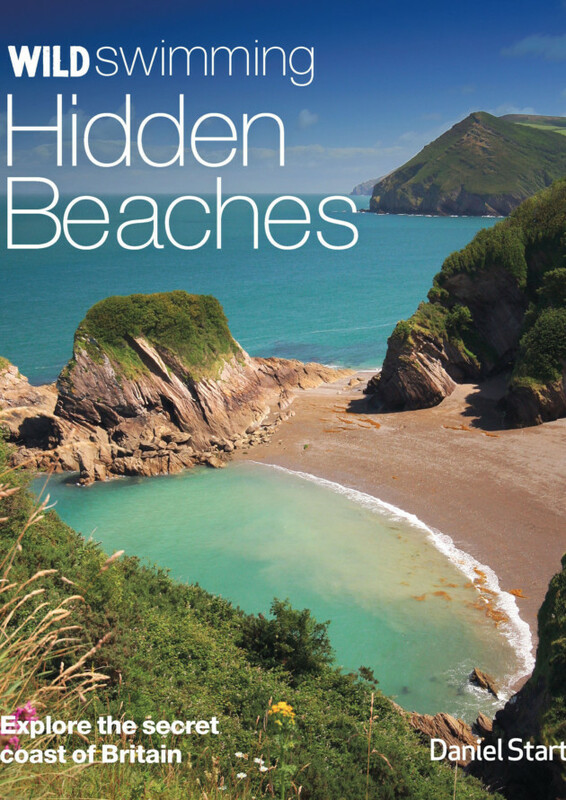 As the sun comes out and thoughts turn to the coast, check out some of Britain’s most idyllic and secluded beaches, highlighted in Daniel Start’s book Hidden Beaches by Wild Things Publishing (£16.99). There may be some effort involved in finding them – that’s all part of the thrill – and once there you’ll be glad you made the effort. On a hot day with calm seas, at locations such as Dancing Ledge or Durdle Door, you could be on Crete or another Greek island as you watch people skin-dive into the perfect blue waters, leap from ledges and sunbathe on the golden rocks. 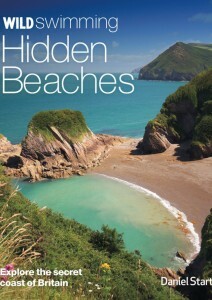 Whether you are exploring the sea caves of the Witches’ Cauldron near Cardigan or playing with seals in the Isles of Scilly; collecting oysters and samphire in East Anglia or basking in the ethereal blue glow of the Outer Hebrides’ shallow lagoons, wild swimming offers a spectacular introduction to our island’s natural history. Britain is as rich in wilderness and secret places as ever and, if you can pick a sunny day, the swimming is out of this world! White sands and lagoons. Tricky descent. From Penzance on the B3315, turn left two miles before Porthcurno, past Logan Rock Inn (TR19 6LG, 01736 810 495). Car park by organic cafe. Follow farm track up past Treen Farm Camping (TR19 6LF, 01736 810 273, no booking) to coast path (half a mile) and then straight over and down. Mysterious inland lagoon beach reached by swimming in through sea cave. From Newport follows signs all the way to Moylegrove (five miles). Then at chapel turn left at signs for Ceibwr (SA43 3BU). Follow coast path west 15 mins to find lagoon. At footbridge descend into stream passage by waterfall (if you can climb back out!) or at low tide a 100m swim leads in via sea cave on right. From Ceibwr Bay itself a 200m swim south-west leads to the giant Careg Wylan/Gull Rock, with sea cave through connected headland. A very long tunnel pierces next headland too. Bring a torch and wetsuit! Sandy bay with white cliffs and caves. From Broadstairs follow B2052 north past Joss Bay (surfing), Kingsgate Bay (caves and Captain Digby pub CT10 3QH, 01843 867 764) then right after a mile, Botany Road. Park at bottom (lovely Botany Bay Tea Gardens CT10 3SD, 01843 867 662). Bear right at low tide to second bay and smugglers’ caves. Huge deep rock pool in corner of beautiful low-tide sand bay. Popular for jumping. Difficult descent. Rock arch at far end of beach, Llangennith is at far north-west corner of the Gower (A4118, then first R after Oxwich). Carry on through the village, pass the King’s Head pub, over mini roundabout (signed Broughton) to park after a mile at the entrance to Broughton Farm Caravan Park (SA3 1JP). Walk into and through park, bearing left and on to coast path. After three-quarters of a mile Bluepool Corner bay is directly below with pool at the near (east) end about 3m deep for jumping. Tricky scramble down. Massive beach-side camping at Hillend, from Llangennith (SA3 1JD, 01792 386 204). Great jumps from basalt columns. Three hour trips, Fionnphort (01681 700 358). The Victorian “steps” at the remote north end of this popular beach have washed away but there is still a goat track down. Half a mile north of the Bedruthan Steps B3276 , turn left (Pentire Farm/Park Head). Head to coast path. Look left for a path down a slope ending in a rocky scramble. Turn right to visit High Cove inlet with sea arch and caves. 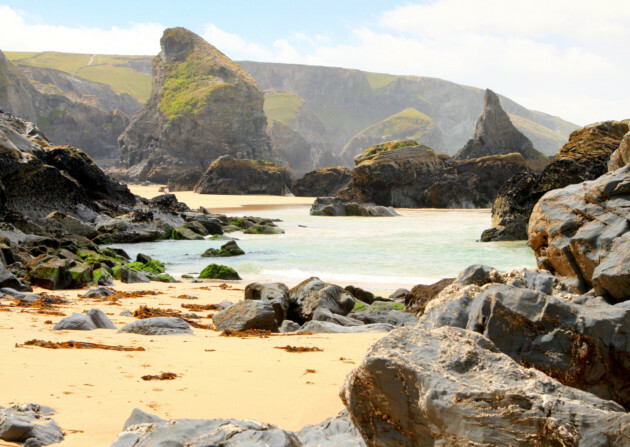 Basic camping Bedruthan Steps – great sunsets. Enchanting walk down a pretty combe from a charming hamlet. Smugglers’ passage hewn from rocks and waterfall. Snorkelling opportunities. Take path by church down through woods 15 mins to cove. Continue 500m west on the coast path to find tiny Palace Cove, where steps have been carved from the rocks to create a mini-quay. Or walk 200m east to find Parson’s Cove. Excellent camping at Highertown Farm (PL13 2PX, 01208 265211). Cream teas and local beef/lamb at Barton Farm (PL13 2PU, 01503 272293). Lansallos is signed two miles west of Polperro by the Crumplehorn Inn. Low-tide crossing to Erraid beautiful cove. Walk past Knockvologan Farm, down track 500m and cross Erraid Sound to R.
Quaint harbour with quay and steps for swimming. Tunnel leads through to east side of cove and to the rock arch. From Dunbar, south on A1, exit for Cove at roundabout a mile before Cockburnspath. Down Pease Bay road, turn L after 200m into Cove (TD13 5XD). Park and follow track.